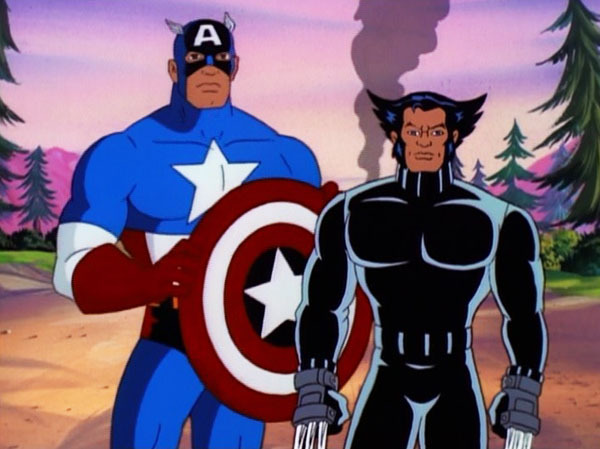 Since I’ve been thinking a bit about superheroes recently, I thought it might not be a bad idea to write about the X-Men cartoon from the 1990s, which was how I was introduced to most of those characters. I don’t know how closely it stuck to the comics, but the line-up was apparently close to the one they were using in the comics at the same time. The core group consisted of Professor Xavier, Cyclops, Jean Grey, Wolverine, Rogue, Gambit, Storm, Beast, and Jubilee; but other members and Marvel characters made occasional appearances. I’m not sure why Jean didn’t go by a nickname; she was originally Marvel Girl, but I don’t think they used that anymore by the time the cartoon came out. Apparently Morph, who appeared as part of the team in the earliest episodes but only rarely after that, was original with the show. 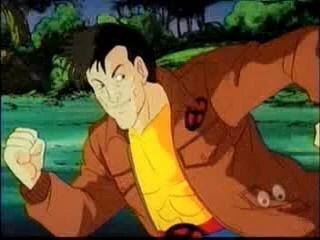 He was, however, based on a shape-shifter who was once part of the group in the comics. I always liked Beast, who was intelligent, soft-spoken, and gentle to contrast with his appearance. He was the less grumpy fictional Dr. McCoy introduced in the 1960s. As I’ve said before, the hatred and fear of mutants comes across as kind of weird in a world where lots of people have supernatural powers, but it’s not like prejudice ever makes that much sense anyway. There were a lot of interesting themes and story arcs, and while it was sometimes a little difficult to keep track of all of them, it was nice to see an ongoing cartoon that didn’t go back to square one at the end of each episode. Disney’s Gargoyles was also like that. One of the first movies I saw in the theater with Beth was the 2000 X-Men. We’d both seen the cartoon, and I remember discussing some elements we thought were done much better there. One thing that stuck out for me was their portrayal of Rogue, who in the film barely had a Southern accent and wasn’t raised by Mystique. It seemed like they combined her with Jubilee, in making her one of the younger characters and highlighting her bond with Wolverine. The cartoon version was also able to fly due to having absorbed the powers of Ms. Marvel (not to be confused with Marvel Girl, Captain Marvel, Mary Marvel, Prince Marvel, or Professor Marvel). EDIT: Ms. Marvel actually did eventually become Captain Marvel, but my basic point still stands. 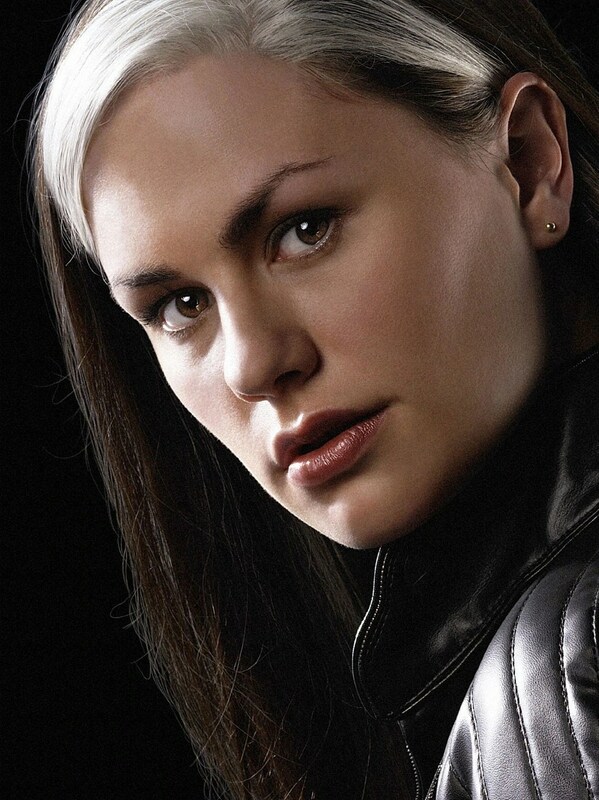 Looking back, the animated Rogue reminds me of Neko Case, especially when she had the white stripe in her hair. I’m not sure which was more accurate to the comics, but if the Wikipedia page is any indication, I think it’s the cartoon. 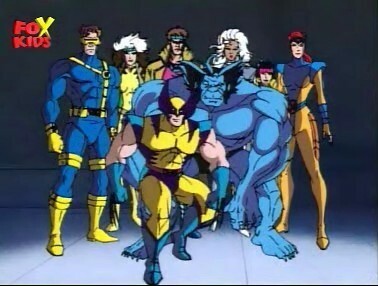 Beth also mentioned how the cartoon came across as more sympathetic to Cyclops, while the movie focused on Wolverine and made Scott almost a nonentity except as a barrier to Logan’s crush on Jean. It wasn’t a terrible movie, but I never made an effort to see any of the sequels. This entry was posted in Cartoons, Comics, Neko Case, Prejudice, Television and tagged beast, cyclops, jean grey, jubilee, marvel comics, ms. marvel, mystique, professor xavier, rogue, wolverine, x-men. Bookmark the permalink.